The NBA Gatorade League 2018-19 season kicks off on Friday, featuring one new team and a few arena changes, while off-the-court developments are signaling further growth for the ever-expanding league. After playing with 22 teams just two seasons ago and 26 last year, the G League will play at 27 teams in 2018-19. The latest addition is the Capital City Go-Go, an expansion club owned by the Washington Wizards. The Go-Go will play at Washington’s new Entertainment and Sports Arena—a venue that has opened as part of a redevelopment of the former St. Elizabeths Hospital’s east campus. The arrival of the Go-Go gives the Wizards a G League team of their own, while providing the league another season with at least one new club. The Sports and Entertainment Arena is not the only new venue that will be featured in the G League this year. The Rio Grande Valley Vipers are set to play their first season at Bert Ogden Arena, a new facility in Edinberg, TX. Ground was originally for the venue in 2015 with the anticipation of a 2016 opening, but after multiple delays the arena opened in August of this year. Bert Ogden Arena will replace State Farm Arena Hildago as the team’s home. 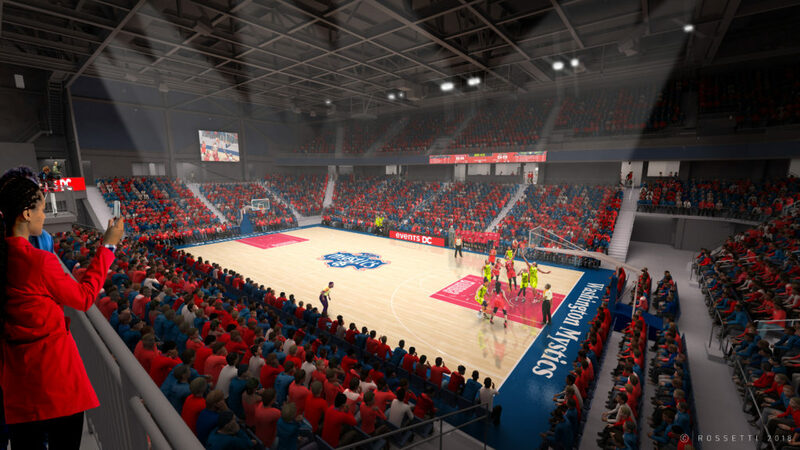 During the season, the Delaware Blue Coats will move into the new 76ers Fieldhouse in Wilmington. The 161,000-square-foot space features a 2,500-seat arena for the Blue Coats, part of a multi-purpose sports complex and youth training center. The Blue Coats, who were known as the Delaware 87ers until this season, will play their home opener at Philadelphia’s Wells Fargo Center on November 20 before playing three home games at the University of Delaware’s Bob Carpenter Center in Newark. Their first home game at 76ers Fieldhouse is currently scheduled for January 4. Another arena change is the result of a relocation. Following the 2017-18 season, the Reno Bighorns moved to Stockton, CA, where they are now known as the Stockton Kings. This move allows the club to be closer to its NBA parent, the Sacramento Kings, who purchased a controlling interest in the then Bighorns in 2016. With their move to Stockton, the Kings will play at Stockton Arena. The changes this year are significant in their own right, but recent news concerning the G League has it positioned to grow even further next year. Last week, the New Orleans Pelicans announced that they are launching their own G League team that will eventually be based in Birmingham, AL. The club’s arrival in Birmingham will not take place for a few years, but the Pelicans will have a G League team competing as the Erie BayHawks next year. That means the 2019-20 season will feature 28 teams. The 2018-19 G League lineup includes a current incarnation of the BayHawks that is owned by the Atlanta Hawks, but the Hawks will shift that club to a new arena in College Park, GA in time for the 2019-20 campaign. The new Pelicans’ G League squad will play in Erie until renovations of Birmingham’s Legacy Arena are completed, which is currently estimated for the 2022-23 season. The G League’s growth over recent years is certainly continuing this year, thanks to a new expansion club and slate of arena changes. That gives the league some momentum coming in to this year and could allow it to continue growing down the road.